Received an Ecuadorian syringe thats clearly contaminated. I dont live in a place where spores can be obtained and bought while visiting. I dont have time to replace. Is there any chance spores can be recovered with agar work or will the contam have destroyed all viable spores? Sure you could always try to clean up on agar, but you said you don't have time. It may be faster to have it replaced. You could also use the good syringe to inoculate an agar dish or small jar of grain. Then add sterile water and shake or scrap the myc loose in to the water depending on which you use. The you will have liquid inoculate to do more projects. What makes you think the syringe is "Clearly" contaminated? Sorry i mean i dont have time to replace, i return home in one day. Not enough time to get a new one. Oh you live in a state or country that most vendor won't ship too? Sorry that was over my head even though I have a house in one of those places. If you do have agar, I would definitely test that suspect syringe to see if really is contaminated, There are a few reasons why it may look different than others. Agar will certainly help you. If you can get clean mycelial growth anywhere on the plate, you will have a good chance of isolating clean growth. My advise is always inoculate/streak several plates and play the law of averages. Most of the time it pays off, but if the spores are completely contaminated, then you will get nothing but contamination and it’s a bust. Only one way to find though, if you don’t have time to swap out the syringe. What makes you think the syringe is "Clearly" contaminated? I would say the color of the syringe on top is what the OP is worried about. The color is a little funky. It does look more like a LC verses a spore syringe. But then again, I’m no spore syringe expert. I personally hate the damn things, and am no good at making them. But I have purchased my fare share in my days and they never looked like that. That being said, there is NO way of telling if it is contaminated without germinating them, or attempting germination. Who knows, they could be clean. Edited by peacefrog, 08 February 2019 - 10:02 PM. Kock up a jar first before you jump to conclusions. I agree, looks like an lc to me also. Agreed. Try it before you jump to conclusions. Can't really hurt. I'd give it a try, I've never had one look that way, but I have had some odd ones be perfectly fine. Make some plates , or a jar and give it a go. Can't lose much that way. I've had syringes that looked like this that worked out just fine. Even though the color of it was a little off I still tried it. I think I had one out of 12 jars contaminate out of it, but that could have been my fault. Try it out! Thanks for the replies, the vendor confirmed it is infact liquid culture as was suggested above, as they did not have spores for the strain I had ordered. Will try a bit on some agar and see how it goes. I find it insane that a vendor sent out an LC on an active unless I misunderstood. No you did not misunderstand at all, it happened to me a month or so ago and I have seen it happen to others on forums recently. 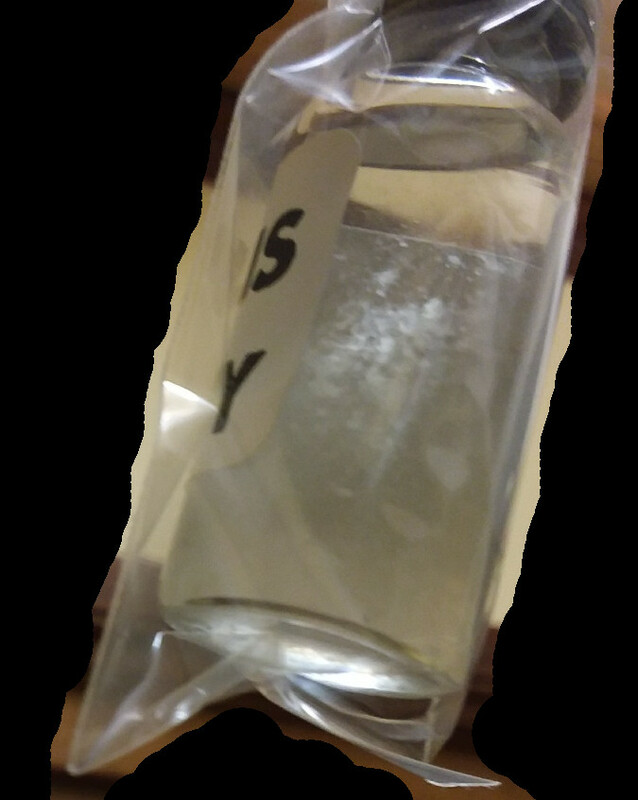 I purchased what I believed to be a PE spore syringe(well thats what I ordered and was told I was getting), and received a vial of mycelium in what appeared to be water. It is becoming extremely popular nowadays, the vendor I purchased mine from now openly sells Cubensis liquid cultures on their website. It was clean and fast to take off and the strain I wanted, but just not a spore in sight. And just quietly the mycelium blues, so I am pretty sure it is one of the strains whos mycelium does produce actives. You can see on the original post one syringe has visible spores all through it, and the other does not have one visible in that pic, but a very pale cloudy mass. You would think in a normal spore syringe there should not be any nutrition to let a contaminate grow to proportions like that? 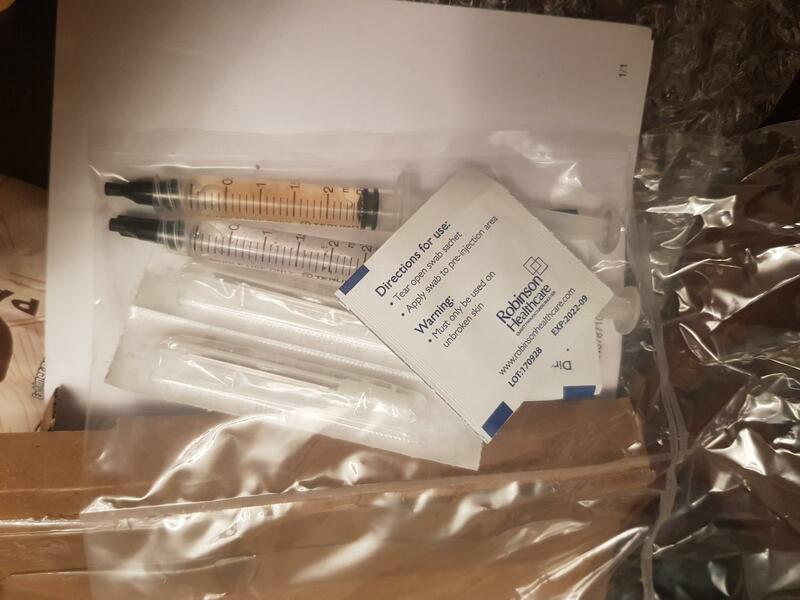 That syringe definatly looks like it was drawn from an LC.Every inactive syringe and the APE and PE syringes I’ve ordered in the past have always come in LC form. Every other cube syringe has come by ms solution. There seems to be some surprise about active syringes coming in LC form. I’ve never had a true PE/APE fruit drop spores, so I’ve never thought a ms syringe of PE/APE was even plausible or available. Am I missing something ? Only difference is mine looked clear though, not the yellow tinted LC type. "Am I missing something ? " 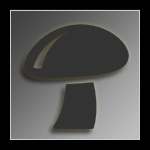 - for most of us it is illegal to ship/possess live mycelium of an active mushroom species. thanks pete. That’s was an interesting read on the PE printing. I love seeing differing opinions on this issue. And I certainly hope I’m not seen as hijacking this thread. Unless I am completely mistaken, the spores are only legal until you germinate them... Liquid culture of actives should also be illegal... This is why no one is selling LC of all the different strains. Edibles are typically sold as LC when they could just as easily be selling spores. Edited by PJammer24, 14 February 2019 - 01:42 PM.